“Tara, skate (Let’s go skate)!” Just one text message, and the whole gang will be on its way. 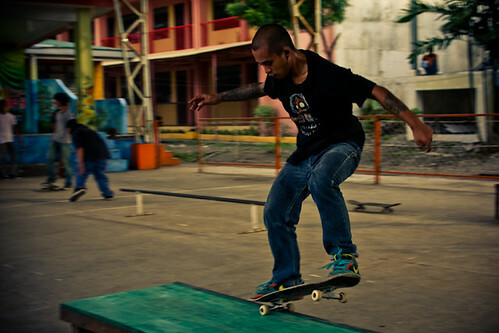 Lester is one of the more popular skaters in the small town of Los Baños, Laguna. 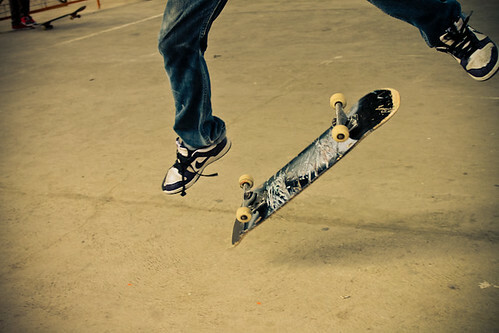 Student by day, musician by night, skateboarding is his exercise, music the blood that runs through his veins. 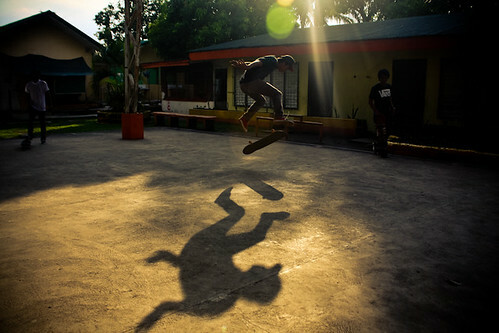 Every Sunday you would see him and his other skater friends at their favorite spot in a local public elementary school. Their obstacles are made out of recycled materials they salvaged from junk shops — just a little welding here and there, and they’re good to go. 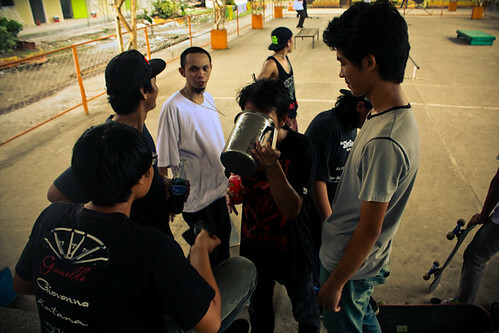 The camaraderie of this group of skaters is admirable. 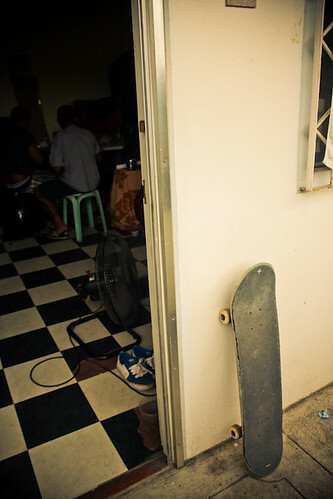 If you are interested to learn how to skate, they would be happy to teach you and help you out with your tricks. They are very friendly and accommodating. 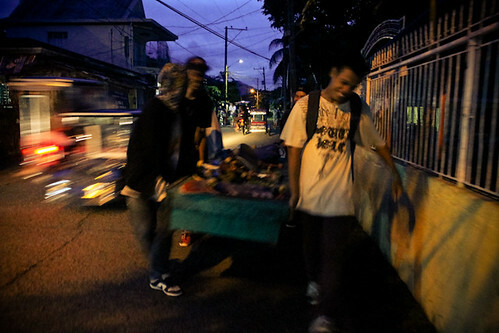 Skateboarding is more than just a sport for Lester, he says. It has opened a lot of doors for him. 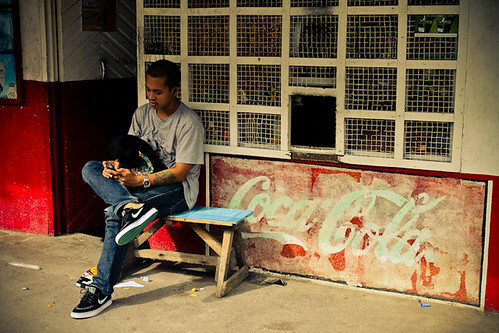 Kimmy Baraoidan is fairly new to street and documentary photography and is still on a journey to finding her own distinct voice. 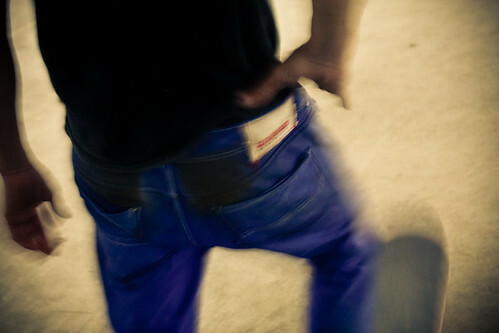 She is fascinated by the youth culture, subcultures, and the rock and roll lifestyle. She is also a rock drummer and an aspiring writer. 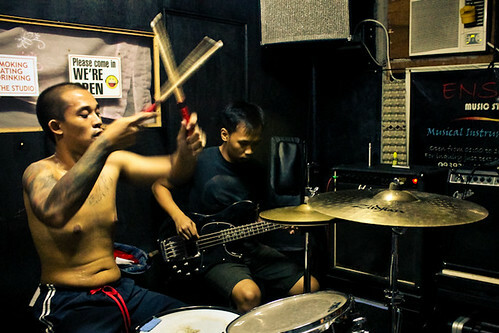 She took these photos as part of Alex Baluyut’s Masterclass in Documentary Photography. Her website is www.kimmybaraoidan.com.